i decided to add my blog to giveaway scout's giveaway database! "GiveawayScout.com - All blog giveaways, contests and sweepstakes in one place brings you the latest giveaway promotions with products ranging from coupons and samples to high value jewelry and electronics. Giveaways have become extremely popular in recent years and thousands of blogs offer them on a regular basis. Giveaway Scout scans a large number of giveaway blogs and updates every hour with the latest offers. Since giveaway contests usually expire quite quickly, we offer an automated update service that informs you by email when a new giveaway in your chosen category is discovered." check out their cool widget! win tickets to the pacific festival this saturday & sunday!! cali green is offering a 2-ticket giveaway to the pacific festival going on this saturday the 4th and sunday the 5th of september! the pacific festival aims to bring people to celebrate culture, community, art, music, entertainment and philanthropy. scroll down to the wall post that says: "cali green free tickets to pacific festival..."
my most recent article just got published on travelin' local! the cheese store of beverly hills is a treasure trove of delicacies and rare finds. it's been a celebrity secret for decades! the article features my interview with store owner, norbert wabnig! where can your kids eat free in the oc today?? "kids eat for" offers a list of restaurant locations where you can get your children free grub each day of the week! and if you have an iphone or an android you can get the kids eat free app for $3! 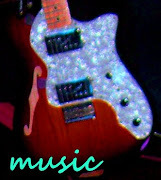 features arcade fire, best coast, ra ra riot, and more! tomorrow: oc foodie fest - the big day! have you bought your pre-sale tickets yet? they're just $12! performances by the beat freaks (from mtv's america's best dance crew), dusty rhodes & the river band, the new limb, seedless, denny white, and more! 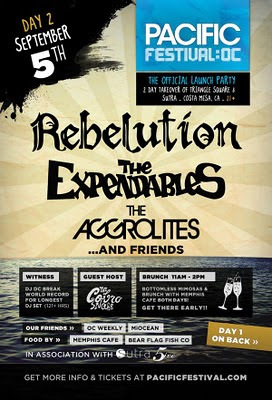 so if the 50 food truck party didn't intrigue you quite enough, i am sure all the many other fun festivities will have! oc foodie fest's final preview event is tonight! and it's free! come out to the fox fullerton theater in downtown fullerton from 7-10pm and catch the first james bond thriller, "dr. no"
bakerytruck, kona ice beach cities, seabirds, and taco dawg food trucks will be present so you can enjoy a sneak peak of oc foodie fest! bring your pre-sale tickets and get some great deals! lastly, come to the event to enter a raffle for tickets to vegas! check out what else is making me so hungry for oc foodie fest - here-!! 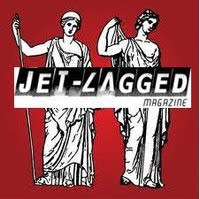 tonight 9pm, jet-lagged magazine of uc, irvine will host a toga party at lan doan's studio of greener grass photography. this is a fundraising event for jet-lagged. free dinner and free music tonight - dinner with dave!! 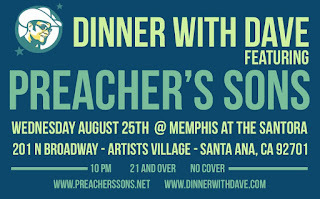 tonight at 10pm, come out to memphis at the santora, santa ana for some dinner with dave!! also... no cover! free food, free music... i will definitely be there tonight!! exactly one year ago on august 28th, 2009, adam goldstein (aka: dj am) tragically passed away from an accidental drug overdose. 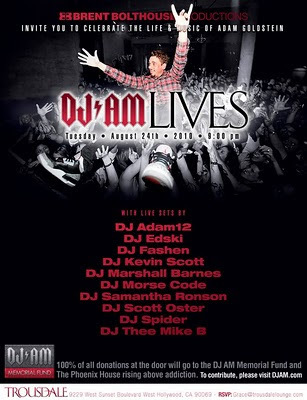 in honor of the musician's life and music brent bolthouse productions presents "dj am lives," a fundraising party in the musician's memory tonight from 10pm to 2am at the trousdale in west hollywood. 100% of profits will benefit the dj am memorial fund and phoenix house. visit the dj am lives facebook event page for more info - here- & contact grace@trousdalelounge.com to rsvp. win an annual passport to national parks + more!! the national park foundation has joined forces with sunset magazine and merrell to offer the "passport to the parks sweepstakes"!! ...and you can enter daily! the final date for submission is september 10th. the event is free to attend! and if you have already bought your ocff pre-sale tickets, bring them and get in on some food specials, azuñia tequila drink discounts, and more surprises! you can also buy your pre-sale tix at the preview event. check out my article at travelin' local -here- to find out why i have serious ocff hunger pains! 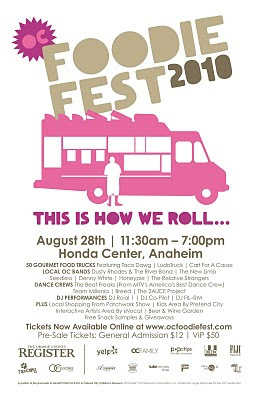 august 28th brings us the first orange county food truck super-celebration at the honda center, in anaheim!! i'm already feeling the hunger-pains, especially after my interview for travelin' local with james foxall, taco dawg fusion food truck owner and founding partner of oc foodie fest. 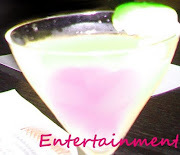 check out what the culinary connoisseur had to say -here-! the event is a can't miss shindig with 50 food trucks, live entertainment, kid's play areas, shopping, and more. even better, the event will help out 3 great charities!! $25 brazilian wax at jesse daniel salon from deal perk! dealperk.com is offering an amazing deal today for 50% off jesse daniel salon's brazilian wax treatment! the brazilian usually goes for $50 at the salon but deal perk oc is selling the treatment for $25! this deal ends at midnight (12:00am 8.20), so check it out now by clicking -here-! deal details summary: the deal is only for new customers, limit one per customer. don't wait 'til summer is gone! 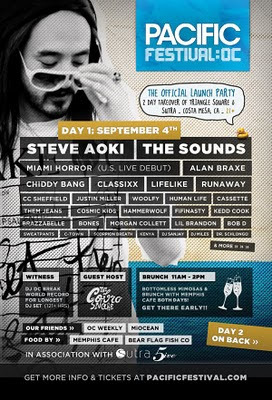 win tickets from oc weekly!! the colourist, the union line, moonshine & the drugs, and yellow red sparks!! 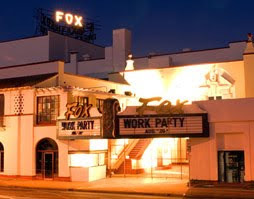 this giveaway is a part of oc weekly's (weekly) "free tix tuesdays"! win tickets, albums, and a picnic!! time for three summer concert! saturday, august 28th from 8pm-10pm! this performance is a part of pacific symphony's "kicked-up classics" summer series. 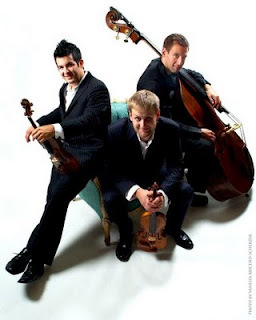 in celebration of the event, pacific symphony will be giving away 2 copies of time for three's new album, "3 fervent travelers" along with 2 premium seats and 2 picnic meals at the concert! you can also win 2 free tickets to the performance if your comments are chosen to be featured on pacific symphony's twitter feed "tweetcert" during the concert! hurry! 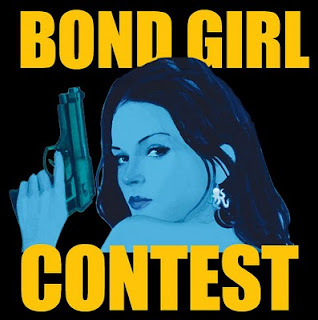 this contest ends august 26th! win a family 4-pack of tickets to wild rivers! distinguished oc family mom-blogger, suzanne broughton, is giving away a family 4-pack to wild rivers on her oc family page! the giveaway ends wednesday august 18th, so hurry!! thanks, for the awesome giveaway suzanne!! 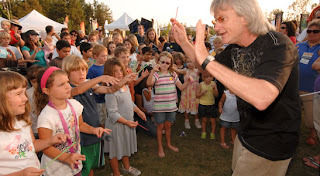 free "symphony in the cities" summer concert today at pittsford park, lake forest with target and the pacific symphony! this is the last event for the symphony in the cities summer program. 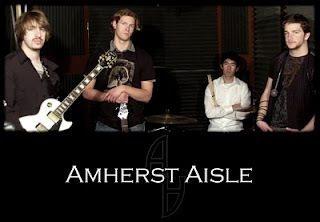 rock out with some class(ics)! 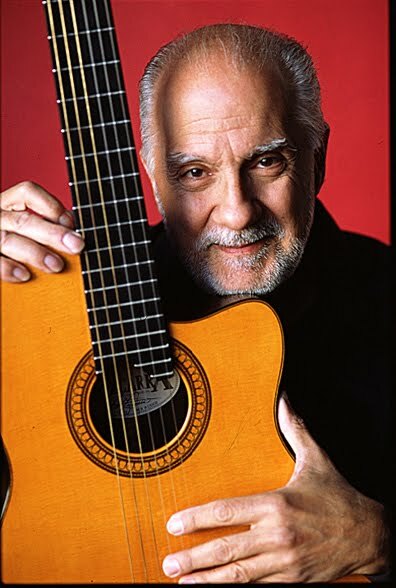 oscar castro-neves, will be playing tonight at burton chace park, marina del rey at 7pm as a part of the city's "pop saturdays"
the jazz music of oscar castro-neves is crisp, smooth, and enchanting. there will be food and beverages for purchase at the park. bring a blanket or two, a warm sweater, and some pals! 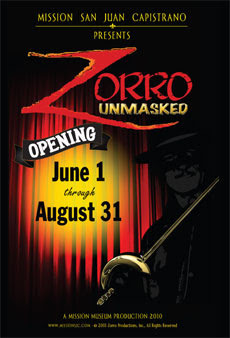 mission san juan capistrano has a zorro summer exhibition going on now through to september 6th, 9am-5pm daily! the exhibit will feature all sorts of zorro-themed curios, original film props, and original costumes from the film "the legend of zorro" worn by antonio banderas and catherine zeta jones! children under 3 yrs old get in free! plus, every sunday from 12-2pm the zorro unmasked curiosity cart will be present and offer paper rose and zorro mask making tutorials and activity booklets for free! catch the mark of zorro! lf laguna will be opening their doors today at 10am. why should you be there? they are having a crazy sale - 60% off their entire spring collection!! now you know! ...but what will you buy?? hotels, b&bs, or camping: catalina vacation fun and deals! (2) my camping in catalina article was just published on travelinlocal.com! i name this day... catalina day! catalina is just an hour away by boat. the island boasts so many activities, you probably won't be able to do them all in one trip! but it's worth a try. so i stumbled upon www.visitcatalinaisland.com where i found awesome deals on a zip-line package that includes your catalina express boat round trip tickets, 2 nights lodging at the "hotel atwater" and a zip-line ecotour! some packages will be cheaper than others depending on the date, number of people, and type of room. i was able to find a zip-line package for 2 people, 2 nights, starting september 25th for under $500! click -here- to view the rooms and rates. you can also stay at the historical banning house, in two harbors! lastly, i found a charming bed and breakfast place in avalon called the old turner inn where you can rent a 2-person room for $180-$220 a night! if you have a family of four, you can rent a room for $240-$280 a night! click -here- to view the rooms and rates. catalina is so beautiful. i can't wait to go back! hey costa mesa! win $5 starbucks card from distinguished local blogger! holly schwartz, creator of 365 things to do in costa mesa is offering a $5 starbucks gift card giveway! holly wants to know your favorite activity/location in costa mesa is. i've already submitted my favorite hangout! winners will be picked sunday, august 15th. 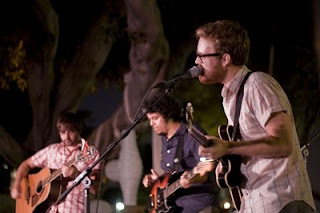 365 things to do in costa mesa is a blog about, well, things to do in costa mesa! the blog offers all sorts of interesting info on locations, events, and businesses! it's really a great resource for anyone living in the OC and LA areas! ms. schwartz is also the social media mastermind behind torelli realty. she also has remarkable experience as a producer of many hit hgtv shows. I spend all my money on my wardrobe and dinner. uo fall favorites for under $50!! refinery 29 giveaway: rossmore jewelry!! Copywrite © 2010-2017 Broke in the OC. Simple theme. Powered by Blogger.